There’s no nothing in Wiccan beliefs about any particular version of life after death. We hold a few concepts only about what happens after we die. There is a lot of variety there left for your interpretations. Wicca does not pretend to have the answers to this particular enigma. We have no manuscript, no widely-accepted prophecies nor beliefs about what if one exists at all, the afterlife might be. Wiccans agree that death is it is a natural part of life cycle and no need to fear at all. 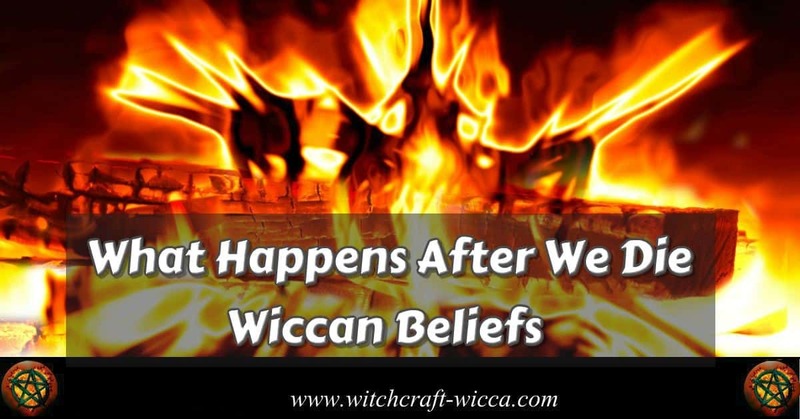 Wicca is a religion that is not intensely focused on what will come after life. As humans, we are curious and have our theories, but our faith is concerned with how we live our lives, not what happens to us after we die. Making the most of our lives and embracing it here and now, is what the Wicca is about. Let’s explore some of these opinions usually found among Wiccans. Some Wiccans assume that our souls are eternal and free from our bodies when we die. Once we’re released from our physical body, the soul is released entirely unfettered to explore the vast expanses of time and space, like permanent astral travel. You can watch your children throughout generations, or you can just ‘go to sleep’ and never wake up unless you want to. The spirit world is another reality behind ‘the veil,’ where souls go to rest and reunite after death. Some believe that this is a beautiful rest stop where everybody, the good and the bad, goes before moving on to a new incarnation. The notion that we will ultimately be born again into a new life is what reincarnation is about. Wiccans also see nature as cyclical, planets orbiting around the sun, the phases of the moon and the changing of the seasons, life appears to come full circle before moving on. In this thought, reincarnation spiritually fits and this is the most broadly believed concept. Some souls become ‘trapped’ on Earth because they have an incomplete business, don’t know they’re dead, experienced shock or trauma, or are trapped by their negativity. Some souls don’t move on to the spirit world or become reincarnated until they can be freed from their Earthly prison. These are ghosts and existences that people believe haunt some places, poltergeists, or others. Some Wiccans didn’t believe that there are immortality or ghosts and for them, death is the end. When leaves fall from the tree, the ones in the spring are not the same leaves. When humans fall, the life energy is re-consumed by the universe, and the body is consumed by the Earth. Life after death is regarded nothing more than wishful thinking, or a fear of mortality. Ashes to ashes, dust to dust. As far as any mindfulness goes, it’s lights are permanently out for us. Like a drop of rain flowing to the ocean. and become part of it forever. Wicca faith is mainly focused on how we live our lives. We are curious about what happens after we die while embracing this life. The mission that Wicca religion is about live your life here and now and making the most of it.